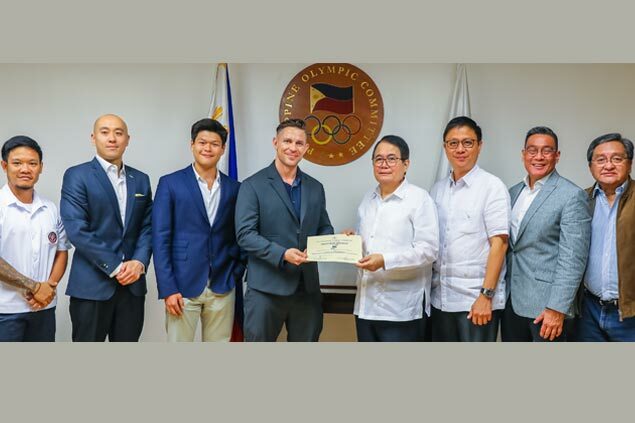 THE Philippine Olympic Committee (POC) has designated Pretty Huge Obstacles (PHO), a training facility at Bonifacio Global City, as the official cross-training venue for the national athletes. With 100 obstacles in its layout, PHO is the biggest obstacle training facility in Asia and can help the Filipino athletes in developing their speed, flexibility and agility. POC president Ricky Vargas finalized the agreement with PHO representatives Charz Kelso, Noel Agra, Mike Yung and Jay Lim. Also on hand were POC secretary-general Patrick Gregorio, POC general counsel and Pilipinas Obstacle Sports Federation (POSF) head Al Agra and POC spokesman Ed Picson. The POSF, which is recognized by the World Obstacle Course Racing, previously signed a memorandum of agreement with the POC to provide obstacle course training for the national athletes. Close to a hundred athletes, coaches and officials from a dozen sports joined the first POC-NSAs Obstacle Team Building Challenge at the Ateneo Blue Eagle Gym in April. Boxers Charlie Suarez and Josie Gabuco ruled the individual categories in the stadium race of 14 obstacles over one kilometer.